Will Polaris Be The Next Investor In MV Agusta? Cycle News is reporting that the President of MV Agusta has confirmed discussions with Polaris “about some sort of partnership.” MV Agusta, of course, is a super-premium Italian brand with the potential to bring favorable brand consequences to any company aligned with it. It should be noted here, however, that previous relationships between MV Agusta and other brands have sometimes ended abruptly and seemingly without any tangible benefits going to the investor. Harley-Davidson, for instance, owned MV Agusta for a short period of time, but sold it back to the Castiglioni family back in 2010. Now, again according to Cycle News, a more recent investment by Mercedes AMG “has been nothing short of a disaster.” Can Polaris do better? After reading ownership stories from ACTUAL MV owners, I would steer clear of the MV mark. Period. True, it may be rolling art to some, but for 99.999% of the riders out there, it’s not a bike that’s even a consideration when they’re in the market for their next bike. Probably why MV is in the trouble they’re in. Never meant to be mass market but obviously they are intended for the well-heeled motorcycle enthusiast. Question is, are there enough of them? Plenty of people with money but motorcycling itself has seen better days. Another issue is by the time many might have the opportunity to buy something like an MV the bike’s ergos might turn them away as they’re looking for something more akin to a Barcalounger. Aside from their true qualities, they’re a trophy bike. A little different viewpoint: I hope MV takes advantage of all the Polaris dealer network and marketing/advertising dollars it can but for god’s sake, keep those Victory boys out of the MV design department. Yes, I’m still pissed about Project 156. BTW that Victory “production bike based on 156” rumor is alive and well and being floated by “anonymous sources”. Stop it. Stop it NOW! Any owner of a MV? Maybe MV bikes are reliable, have character, are worth the money as in exclusivity, engines configuration, exclusive materials or attention to detail making it worth work around the problems with dealers? Or maybe not and that’s the reason behind being on the road to disappear? I’ve owned a couple of MVs (2006 Brutal 910 and 2010 F4). The were beautiful motorcycles and they functioned well – not class leading but very competent. However, I will never own another. The dealer network is very, very limited. Also, good luck on getting warranty work done as parts availability is scarce. On my F4, the fuel tank expanded because of ethanol. 18 months after putting in a warranty claim, I still had not received a replacement. I had the dealer consign the bike and eventually another customer, smitten by the mystique and looks of the MV, bought it (knowing that the tank replacement had been approved, just not delivered). As recently as last month, he still had not received the replacement fuel tank. Since then, I’ve moved on to a BMW RT & GS. There is something to be said about a large dealer network supported by a parent company on sound financial footing. Parts availability is excellent, and customer service has been exemplary. I will always admire the MV brand, mystique, and style, just no longer as an owner. Polaris can design there own sportbike anytime they want base on project 156. Problem is Americans mostly buy cruisers so who are you going to sell the new bike too? The fact Harley has 50% of American motorcycle market tells the whole story. The rest of the world? Any interest in MV (I can’t see this deal happening) probably has to do with Polaris gaining better footing in Europe. Good point, I didn’t think of that. Personally I feel it could be a good partnership. I like both brands, and if they could lean on each other, I would like to see it work. People thinking Polaris needs or wants to take over MV may be taking too narrow a focus on things. They might not want to buy them outright, but history shows they would be a willing partner in a development deal. Polaris did a similar thing for KTM back in ’05. A 24% stake on a two year deal, for the purposes of sharing marketing, manufacturing and development resources, with the option at the end for either party to buy out the other. The infusion of capital turned out to be exactly what KTM needed, they bought back Polaris’ stake in 2007, and they’ve been off like a rocketship since. Anybody that’s followed PII, knows they’ve got their money into a lot of motorsports related arenas. Polaris could well be looking at the feasibility of doing something similar to the KTM deal with MV. I’d love to see the MV Agusta triple scaled up to about 1100 cc’s. Polaris could make good use of this if they get serious about something other than cruisers. 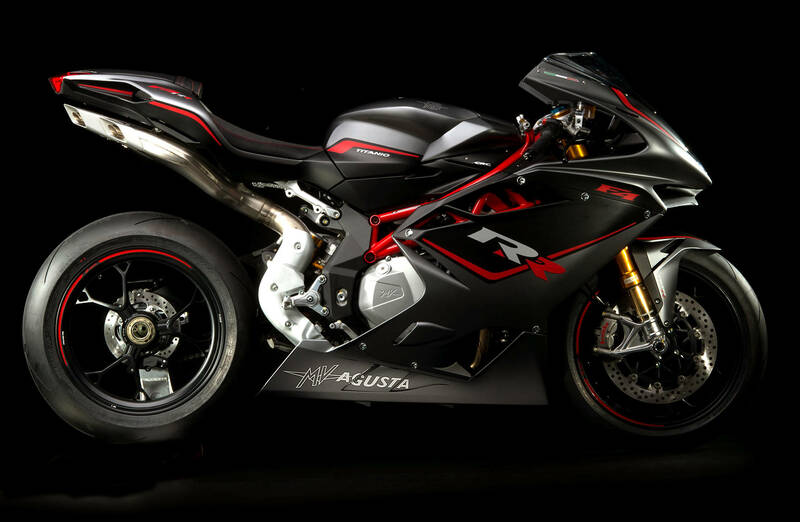 MV Agusta has sunk too much money they don’t have into the inline fours to make a case for doing a big triple. A development deal is a good thought that makes more sense than an acquisition. As a branding exercise, MV are doing extremely well at WSS and WSB levels. There’s a strong case to be made that Leon Camier is the outstanding rider of the WSB series this year. look at the results he’s acheived against all major manufacturers; how often he’s lead home efforts from Honda, Yamaha, BMW, Ducati and Aprilia. Similalry, Cluzel has had plenty of podiums in the last 2 seasons. Truely amazing. It’s be a shame if the company wasn’t able to capitalise on these racing acheivements. This seems more like an attempt at gamesmanship towards AMG by Junior Castiglioni than a realistic scenario. It’s been repeatedly reported that Junior is rebuffing AMG’s offer of a buyout because giving up control of MV is non-negotiable. Polaris would seem even less likely to pony-up without taking management control. Junior also wants to move MV into a lower volume, much higher price strata. Why would a company with a much larger dealer network care to bailout a company that is maintaining the right to shrink production to levels that wouldn’t even supply the extremely sparse network it currently has. So many changes would have to be made at MV Agusta to make it successful at a scale meaningful to Polaris. I don’t see this happening if company control is non-negotiable. If this isn’t the case, than just going with AMG who already has 25% ownership, lender blessing, and experience making money in exclusive vehicles is an absolute no-brainer. When the whole Harley/MV thing was going on I posed the question “Why” to a long-time (like back to the 60’s) Harley dealer. I don’t remember the answer clearly but the main point was something to do with having a European company base to better deal (on paper) with financial/licensing/importing aspects (taxes etc) for selling in Europe. Made sense to me, but what do I know. Well they brought back Indian, why not MV? We will just have to wait and see. Surprised a Italian investor wouldn’t be interested. I hope it works because Polaris has one helluva better dealer network. It’s hard to buy Italian when a dealer’s 500 miles away. A quick glance of their dealer locator and it looks like if you live in and around San Francisco, Seattle, Tampa, Miami and up the eastern seaboard you’re in like Flynn. Otherwise it’s a long trek. Believe it or not, there’s a multiple brand dealer in my neck of the woods, Evansville, Indiana, who carries MV. In a city with no major airline service….an MV dealer? Go figure. Must admit I’ve never seen any product being ridden on my fair city’s streets but the shop has carried the marque for quite awhile. I’m with those scratching their heads on this one. I can see all kinds of possible benefit to MV, not so much to Polaris. As mentioned, MV is far from a household name. It takes someone serious about the brand, either has a dealer relatively close or they don’t care before they belly up to the bar and plunk down their denaro. I guess we’ll just have to wait to see how this pans out. I’d like to think MV can stay in the business, maybe Polaris has a few principals that would like to have a hand in that? MV A have been quoted as going broke for the last few years and probably the reason behind the Old Man Claudio’s heart attack. MV A’s Bankers have perhaps demanded the Company explore a merger for the longer term. I’ll bet Giovanni C wrote letters to all possible like Companies on the Stock Exchanges around the World and someone found one and leaked it to the Press. Probably a merge with Buell and both made in China like Benelli? Ducati saved itself from the brink by (accidentally) coming up with a bread-and-butter product, the Monster. Benelli seems to be fighting for its survival by trying this strategy right now. Brands that depend solely on premium niche products (Bimota, Buell, MV, Norton) are living on the edge by betting everything on one hand. There’s an easier way for Polaris to enter the sportbike market – just put a real Project 156 derivative into production! +1 One chassis could support a naked muscle bike and a sport touring machine. Both are sorely needed and Polaris would be a perfect channel to bring that to market. Sort of like what Buell could have done for Harley if their heads weren’t up there chrome drag pipes. Hmmm….The Victory Brutale Progetto 156 Incrociatore. Is that with or without fringe and valenced fenders? How in the heck does MV Augusta keep finding these suckers…er..I mean potential investors? Crazy. Because of one of the most prestigious names in motorcycling. not because it’s one of the premier names in business acumen, that’s for sure. To whom? This is the same question that was posed when they dusted off the Indian brand. MV hasn’t been prominent in decades, so what does their brand equity really amount to? I honestly didn’t think that the Indian brand had much value left in it, but Polaris breathed quite a bit of life into it. They could potentially make something of MV as well if they have a controlling interest. Please continue your comments based on sound observations and considerations that certainly were discussed in great detail during Polaris new product planning sessions and Board of Director meetings! Thank you for bringing perspective in this case to naysayer comments that represent at least 75% of all the replies here. I certainly support you to continue…a 5% reduction is possible in ten years or so! I would be beyond shocked if this deal gets done. MV only makes sense as a very low volume producer and that means there is not much money to be made from it. Last I heard Victory wasn’t making much money, not enough to keep the Polaris boardroom happy. In general manufacturing vehicles and other complex machinery for consumers is not a particularly profitable place to do business and make cash flow profits. The auto companies are doing great now but there where the horrendous years too remember. Now a company could buy it for the prestige or simply for love but that doesn’t cut it for modern large corporations. As far as the prestige and Polaris/Victory especially, cruiser buyers don’t give a heck about ultra sport bikes and what dealer wants to deal with such high zoot machines at very very low volumes. If I were a Victory dealer I would be appalled by the idea even if I loved the bikes. One of the biggest criticisms I hear about MV is their very weak North American dealer network and terrible support from the mother ship for parts and warranty issues. Polaris could fix that and give them a good solid footprint here. Fingers crossed. A good way to end up with a small fortune is to start with a large one, and then invest in MV Agusta. Just maybe….. take a few minutes and check the Polaris financials ….then get back to us here on your conclusions. Anything to get Polaris off the cruiser merry-go-round. I don’t see why a company with a knack for building motorcycles from scratch would be interested in MV Augusta. I get that they like the idea of starting off with some brand equity (just look at the difference in success between Victory and Indian), but is there any tarnish on the Polaris name itself? I’d think they could do well with Polaris-branded motorcycles. Unless they are afraid of the tarnish a failed division of Polaris-branded motorcycles would leave on the brand. I think you nailed it. Leave the Polaris brand alone. Bring MV into the dealer network fold. In my opinion if they were priced a little better and consumers had confidence in dealer support they will sell here. This feels like HD/Buell all over again. I don’t know Polaris’ dealers, but if they’re cruiser focused, will they be able to sell MV sports bikes effectively? Aside from that, the MV marque is unknown outside of the premium sport bike customer Not sure there’s really any brand equity there. I can see them benefiting from the sport bike know-how, much like I hope they do with their Brammo acquisition. This doesn’t make sense to me..
You just asked the million dollar question. Polaris does have a wide variety of products, so it seems they could embrace the sportbikes. I think the real question is what is up Polaris’s sleeve? They are making good moves, and I don’t see them dropping the ball here. MV needs a dealer network, and they would complement a new line of performance orientated bikes. Possibly including electric? You need to attract money to sell electric bikes, like MV owners. I agree. Other than some sort of strategic manufacturing or tech transfer partnership, I don’t see what’s in it for Polaris. Obviously, MVA will do anything to keep itself from drowning, but I cannot see who is likely to walk into a Victory dealership with intent to purchase a motorcycle and walk away saddled up in Brutale. I think MVA would be better served diversifying their engineering might into something more profitable that can at least in the short term support their bike production. Surely, there’s a market for high-output trellis-framed Italian made driveable wheelchairs. MV is the graveyard of empires for the motorcycle business. But if anyone can make it work that company would be Polaris. MV would do well with the dealer network. Polaris should run away from this deal, or at least ask Harley and AMG what they got other than a tax loss. Harley purchased MV just before the financial meltdown and sold it due to Harley’s collapsing financials. AMG’s purchase never made sense as they are owned by a car manufacturer and had no motorcycle dealer network. Polaris COULD make sense if they can acquire MV for the right price and have controlling interest. MV would make a good addition to Victory, Indian, and Polaris dealerships. I don’t think the Castiglioni family will give anyone controlling interest to the MV Augusta brand; hence I believe it will be doomed to fail. HD spent all that money to modernize the factory and all that tooling for the new triple and Castiglioni bought back MV from HD for only $1!!!! AMG bought 25% interest and lost out their investment. For MV Augusta to succeed they need to buy out the family, maybe if it was run by the same owners as Moto Guzzi, the brand has a chance to succeed. I don’t think Polaris is foolish enough to take a minority stake. It will be all or nothing. Now that Claudio has died maybe the kids are looking to cash out. Fun fact – Harley was the second owner to purchase MV Agusta for millions and then sell it back a year later for 1 Euro. Proton did the same thing in 2004 / 2005.